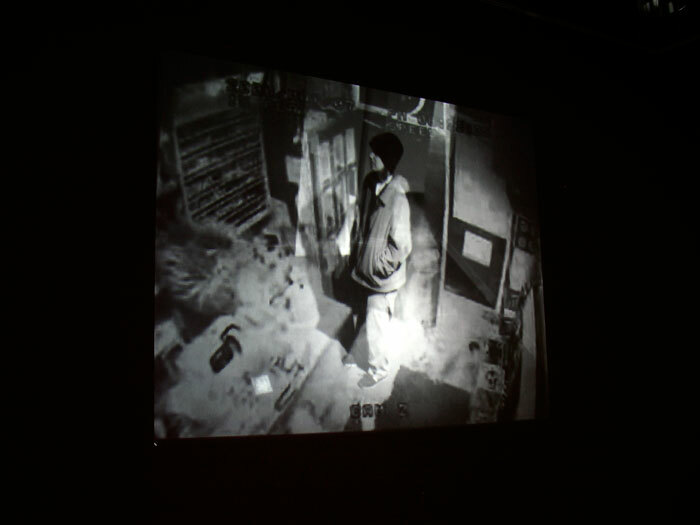 Interactive video installation: camera, computer, projector, found surveillance footage video and sound, custom software created in Max/MSP Jitter. 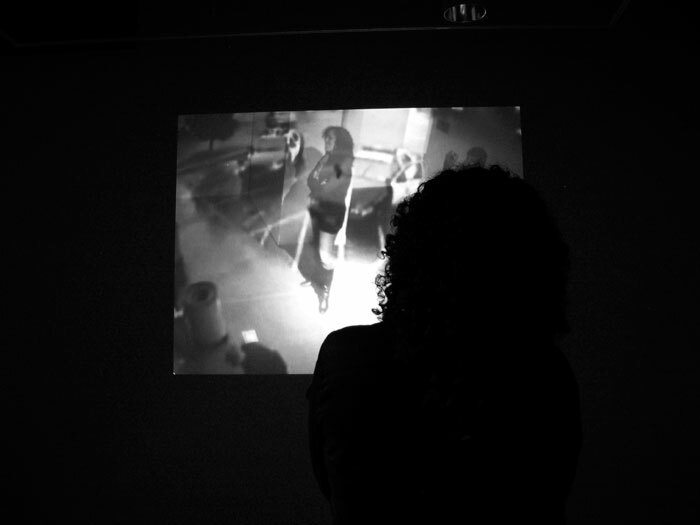 YouViewer is an interactive video installation which combines two images: surveillance footage of robberies in progress gathered from Youtube; and a live video feed of the viewer watching the surveillance footage. 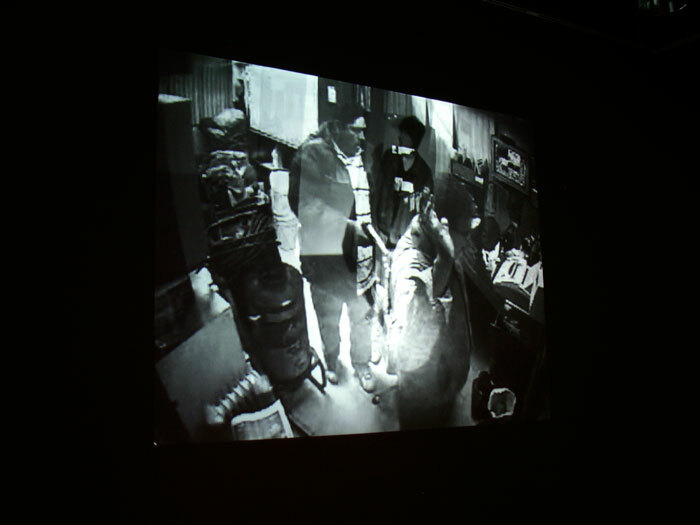 As participants traverse the space, their captured image is combined with the surveillance footage in a the projectied image. While moving, the image of the viewer is barely visible, it is only when the viewer stops and watches for a period of seconds that their act of watching fades into visibility within the scene. In this way, the work underscores the viewer's complicity in the remediation of violent imagery as entertainment. 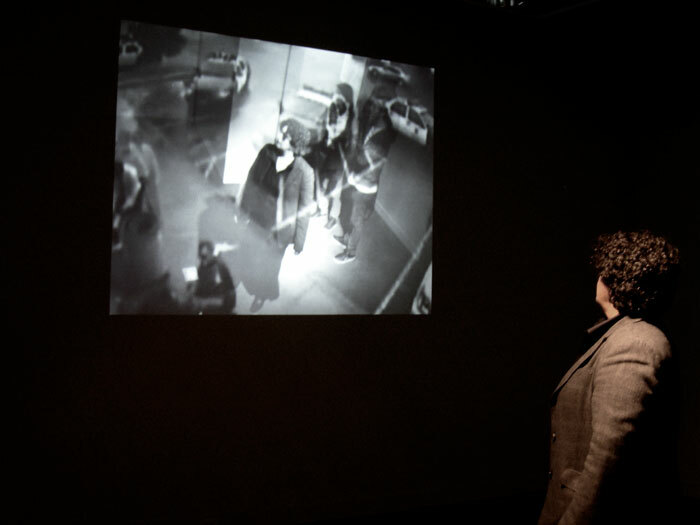 YouViewer questions the role of surveillance as evidence, by conflating past recorded moments with present interactions, collapsing documentation and construction within the image.